Edinburgh, Scotland, United Kingdom. 24 November, 2017. Edinburgh's newest festive event, Christmas at the Botanics, opened this evening . The illuminations held inside Edinburgh's Royal Botanic Gardens runs for 29 nights. 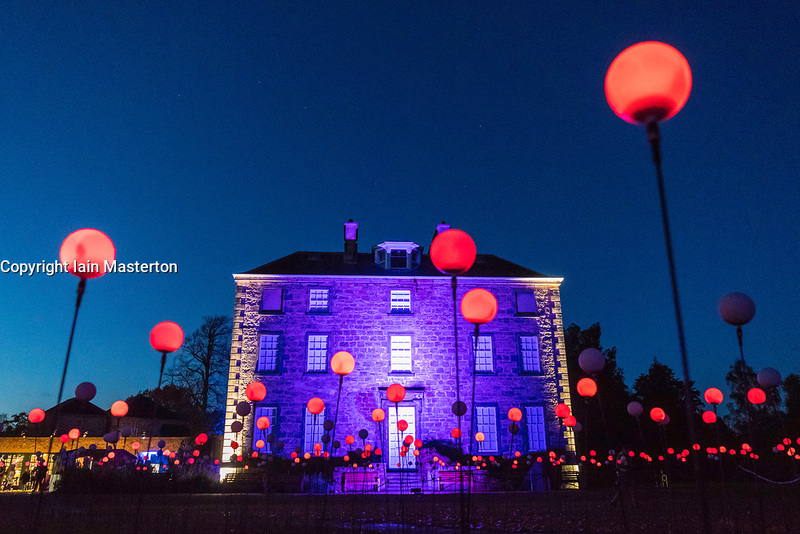 Inverleith House is surrounded by spheres of light in the Bloom display.